Barbie is a fashion police and she will appear in the face of the princesses, saving all the unfashionable thing in the world. When the girls are shopping, dating, or traveling, Barbie will appear to help them put on fashion clothes and make up for them. Just look forward to the performance of the princesses! 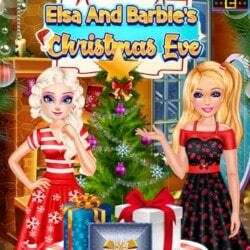 Barbie Fashion Police is an mobile game and it’s playable in browsers such as Safari and Chrome. You can play the game on smartphone and tablet (iPhone, iPad, Samsung, Android devices and Windows Phone).